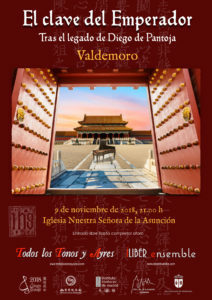 Melómano Digital talks about our concert The Emperor's Harpsichord: After the Legacy of Diego de Pantoja on his visit to Valdemoro, Diego de Pantoja's hometown. 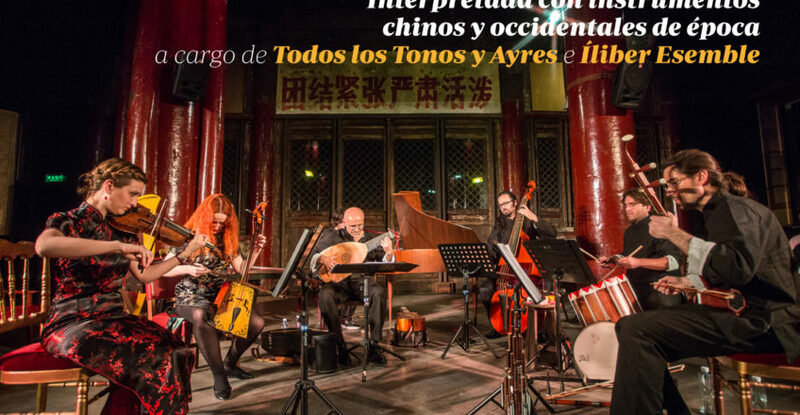 This is a very special concert, as it takes place at the birthplace of Diego de Pantoja at Nuestra Señora de la Asunción Churchwhere the baptismal font and the baptismal certificates of the famous Valdemoreño missionary are preserved. 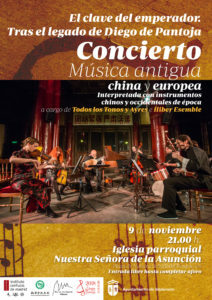 Concert organized by the Confucius Institute of Madrid, the headquarters of the Confucius Institute in Beijing and Valdemoro's Town Hall, with the collaboration of the Nuestra Señora de la Asunción of Valdemoro.